WOW! was honored to have guest judge Jennifer DeChiara choose the winter season’s top winners. Thank you, Jennifer, for sharing your time and efforts to make these contestants’ dreams come true. We always love having you as our honorable guest judge! 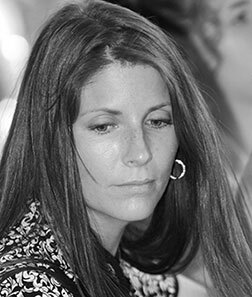 Jennifer DeChiara is President and Owner of the Jennifer DeChiara Literary Agency, which she founded in 2001. Before forming the agency, she was a literary agent with two established New York agencies, worked in the editorial departments of Simon & Schuster and Random House, and was a writing consultant for several major corporations. 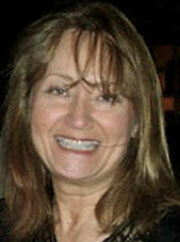 A New York City-based writer, she is a frequent guest judge for the Writer’s Digest, WOW! Women On Writing, and That First Line writing contests, among others, and is a frequent guest lecturer on publishing and the art of writing at universities and writers conferences throughout the country, which have included New York University’s Summer Publishing Institute, the Penticton, Canada Writers Conference, the San Diego State University Writers Conference, Backspace, the International Women’s Writing Guild, and the Learning Annex. The agency represents both children’s and adult books, fiction and non-fiction, in a wide range of genres and represents many best-selling, award-winning authors, including Pen Award-winning author Carol Lynch Williams, Edgar Award-winner Matthew J. Kirby, Newbery Honor Medal-winner Margi Preus, Lambda Award-winning YA novelist Brent Hartinger, best-selling children’s book authors Chanda Bell and Carol Aebersold, best-selling, award-winning Cathie Pelletier (aka K.C. McKinnon), and #1 New York Times’ best-selling author Sylvia Browne. The agency has a strong presence in Hollywood and is affiliated with many of the top film agencies there, with many film and television projects in development, several of which DeChiara has created and/or co-produced. Angela grew up in the Midwest and resides there still. She’s married to a wonderful guy, has two beautiful children, and two dogs. Always an avid reader, she decided on a whim to try her hand at writing a few months ago—and discovered that she couldn’t get enough of it! Since then she’s quit her day job as a drafter to become a full-time writer . . . no, not really, but it’s now become a dream of hers. Writing, she’s found, has released her inner creative person that’s been screaming to get out. She loves to squeeze in time when she can (between working and soccer/football/basketball games and practices) to sit alone at her computer, challenging herself to find the perfect way to put to words the stories and ideas that are constantly circling around her imagination, and giving voice to the characters born there. She’s written a handful of short stories and has about half of her first novel roughly complete. It’s a rather violent and gritty YA novel in a post-apocalyptic setting (think Lord of the Flies meets The Stand meets The Walking Dead) and deals with strong but damaged main characters that thrive and even find joy in the nightmare that has become their world. She’d like to thank WOW! and feels honored to have placed in this contest. My heels clacked loudly on the linoleum as I ran down the hallway to room 212. Like a horse with blinders on, my eyes saw none of the floral wreaths or soothing landscape artwork adorning the walls to the sides of me. Instead, they focused solely on the door to my mother’s room in the E Wing of Pleasant Hills nursing home—the death wing. As I approached, Josie, one of the day nurses, stepped out and looked at me, no doubt hearing the clattering echo of my footfalls. She looked down, shaking her head. I slowed like a sailboat cut off from the wind. “She’s gone?” I asked, having to push the words past the painful lump filling my throat. My feet felt heavy and my legs weak as I took the last couple of steps to the doorway. Josie moved aside and waited until I was in the room before gently closing the door, giving me some privacy. I walked by the other bed and went to where my mother’s body lay. I crumpled around it. I’d been at the nursing home for days, hardly leaving her side. I had to make sure I was there, comforting her, until the last breath escaped her cancer-devastated body. Then yesterday I received a phone call from Randy, my boss. He was insisting that I give the IT presentation the next morning for the new software we were developing. Even though he knew I’d taken the week off because my mother was dying, he still insisted. Come on Val, it’ll be two hours—tops. I’m sure you’ll be back before anything happens. Besides, when you work for a bleeding edge company like ours, there’s going to be times when it comes down to tough decisions like this. And you need to be able to make the right decision. Know what I mean? His meaning was clear—no presentation, no job. So I did it. I wowed them. All the while the most important person in my world died alone. Why didn’t I say no? When had I become this person? I felt numb after they took her body away. It didn’t last long. Grief arrived and punched me in the gut, forcing me to sit in the chair next to the empty bed, doubled over from the pain. After a time I got myself under control. My face felt puffy and hot from tears. And shame. Standing, I began gathering my mother’s things. “Katie?” I heard from across the room. The other bed in the room that my mother died in was filled with an elderly woman named Grace. She was a large woman with small, delicate hands that would flutter at times like a bird with broken wings. Grace was eighty-seven, had dementia, and moved into this room three days ago. She didn’t have long. She thought I was her daughter Katie, who had died in a car accident over forty years ago, or so the nurse told me. I had seen no visitors. Not a chance. I walked back into the room feeling cleaner than I had in years. I think my mother would’ve been proud. “Katie, is that you?” Grace asked, as she had asked numerous times over the past three days. This time, however, I went over to her bed instead of walking by. As I pulled up a chair and sat down, her soft grey curls turned towards me and her eyes found mine. In them, deep where dementia couldn’t touch, was the desperate hope of a mother reaching out to her child. That was so heartbreakingly clear. And reflected back was the fierce longing of a girl missing her mother. I gave her a smile filled with love. “I’m here, Mom,” I said as I reached over, covering her hand like a soft familiar quilt. 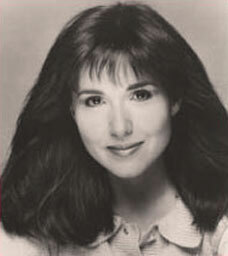 Francine Garson won a writing contest at the age of ten with an essay entitled “What Thrift Means to Me.” Since her only experience with money management at that point involved budgeting her weekly allowance, she learned that words, especially when combined with a little imagination, could have power. But life got in the way of her writing dreams. After earning a B.A. in psychology and an M.A. in college student personnel administration, she became a law school administrator, then an independent college counselor, and for a number of years, a full-time mother. When her youngest child left for college, Francine pulled out her old notebooks filled with scribbled words and a stack of clean white paper, and she began to write. And then, continuing her lifelong addiction to reading, she wrote some more. Francine’s fiction and creative non-fiction has been published in a number of e-zines and print magazines. In 2010 her flash fiction received a first place award from the League of American Pen Women. Today Francine lives in central New Jersey with an even-tempered husband, a moody cat, and a lot of books. She reads, writes, attempts to play the piano, and is very proud of the happy, successful adults her children have become. She is excited and honored to have placed in the WOW! 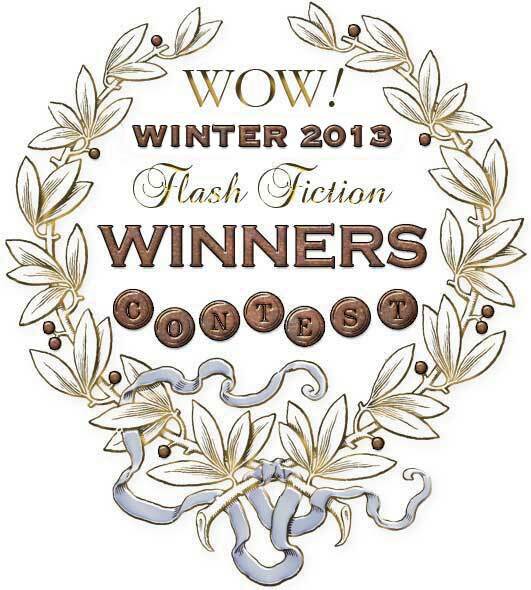 Winter 2013 Flash Fiction Contest. Learn more about Francine at francinegarson.com or connect with her on twitter at @francinegarson. Rachel lifted her t-shirt and ran a finger just above the waistband of her jeans. Standing in front of the full-length mirror hanging from her bedroom door, she unzipped her pants and slid them down to her ankles. Flabby belly and tree trunk thighs. She winced at the reflection of her bloated body and pulled a flannel nightgown over her head, still feeling the lumpy bulges beneath the thick fabric. She never should have eaten those pretzels, the ones her mother kept in the pantry. But Rachel had come home from school headachy and hungry. The handful of pretzels had seemed like a cure. Big mistake. Tomorrow it’ll be salad only. No dressing. Not even fat free. If only she could lose enough weight, Rachel knew life would change. Her life would change. She’d be included in the whispered conversations and high-pitched chatter that hummed across the cafeteria tables, in the high school hallways, and in the gym’s locker room. The voices didn’t stop when Rachel moved past. No one saw her. She was a whale. She was a tub. She was invisible. Even Rachel’s parents were concerned about her weight. “What do you usually eat for lunch?” her father had asked when Rachel gulped her pre-dinner glass of water. Maybe that would fill her bottomless pit of a stomach. “Are those the jeans you bought last month?” Rachel’s mother had squinted as her daughter carried a dish to the sink. After dinner, Rachel had climbed the thickly carpeted stairs. Stopping on the landing, she heard her parents’ soft voices. “I’m worried about her. She . . .” Rachel’s mother began. The muffled words floated out of Rachel’s earshot. A doctor. Not a bad idea. Maybe her parents were right. A doctor might be able to help. Diet pills, therapy, even gastric bypass surgery. Some people could do it on their own, but Rachel wasn’t one of them. She rode her mother’s exercise bike and did sit-ups in her room until her body simply refused to sit up again. She always slid her tray past the crispy French fries and cheesy macaroni in the school cafeteria and scraped her uneaten grilled chicken into the garbage can at home. Her stomach felt hollow and empty, and her head pulsed with a dull pain. She was exhausted. She was hungry. Still, her balloon-like body would not shrink. Rachel brushed her teeth, turning away from the puffy face that she’d glimpsed in the mirror. Looking around the bathroom, her eyes rested on the sleek Lucite scale, which taunted her from its spot next to the shower. She didn’t want to weigh herself. Not again today. But the scale beckoned her with a magnetic pull. Yanking off her heavy nightgown and kicking her fuzzy slippers across the tile floor, Rachel stepped onto the scale. A row of black zeroes flashed before changing to three digits. Nine, five, point five. Ninety-five and a half pounds. Being a full-time Developmental-Behavioral Pediatrician hasn’t stopped Joel Shulkin from pursuing an active writing career; far from it, working with children who have developmental and behavioral challenges related to autism, ADHD, learning disabilities, and adoption/foster care has provided raw material for stories that raise the reader’s awareness of these important issues. His fiction, non-fiction, and poetry have appeared in Short Story America Vol. 1, Drabblecast, Long Story Short, Vwa: Songs for Haiti, and StoryTeller Tymes, among others, and he has won writing awards from the Society of Children’s Book Writers & Illustrators, Short Story America, SEAK Medical Fiction Writing, and an honorable mention from Writer’s Digest. Joel lives with his wife (who works overtime as his muse, editor, and coach) in Upstate South Carolina but they often travel together around and outside of the United States. 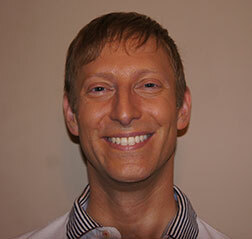 He is currently revising an international medical thriller novel and seeking representation. As the congregation prayed, the front door creaked open. All heads turned at once. Frank squinted against the sunlight. A robust young man stood in the doorway wearing a tailored suit. Frank reeled as he spotted the shock of red hair. The name spread like a spark through dry brush. As the young man walked down the aisle, he clenched his teeth as if he feared the congregation might pounce any moment. He stopped before Frank and Martha Powell. After nodding to his mother, Jess turned to Frank. Frank couldn’t move. He stared into eyes as blue as his own and wondered if he was dreaming, and if so, what would he do when he awoke? Martha elbowed Frank in the ribs. Frank glared at her and then understood. Taking a deep breath, he stood. Jess stepped back and clenched his fists against his chest. Realization hit Frank and Martha at the same time. “That He does,” Frank said under his breath. Frank smiled. Martha had been wrong: that missing letter was important, after all. Congratulations to our Winter Contest Honorable Mentions! Your stories stood out and are excellent in every way. This brings our Winter 2013 Flash Fiction Contest officially to a close. Although we’re not able to send a special prize to every contestant, we will always give our heartfelt thanks for your participation and contribution, and for your part in making WOW! all that it can be. Each one of you has found the courage to enter, and that is a remarkable accomplishment in itself. We’re looking forward to receiving your entries for our next contest. Best of luck, and write on!